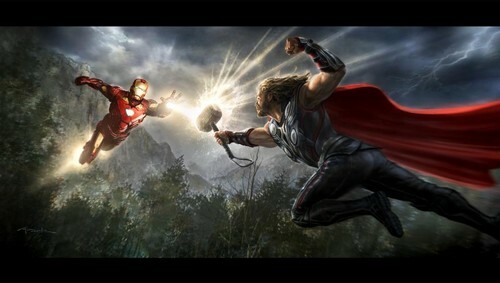 Concept art of Thor vs आयरन मैन. . HD Wallpaper and background images in the दी अवेंजर्स club. the avengers (cast) | ten crazy actors that प्यार each other.